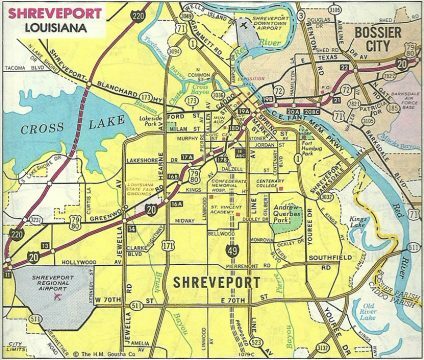 A 1987 Shreveport inset from a Gousha atlas shows the Cross Lake bridge for Interstate 220 still under construction. Interstate 220 east over Cross Lake. The east end of Interstate 220 consists of a half-built directional cloverleaf interchange with six stubs left over from an unconstructed extension southeast through Barksdale Air Force Base. Grading for a loop ramp from unconstructed I-220 west to I-20 west is evident. 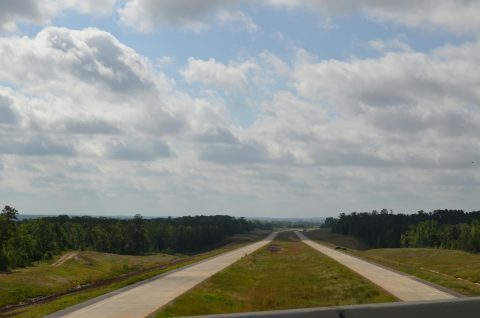 Our 2008 blog post on Interstate 49 in Louisiana referenced a possible extension of the I-220 freeway southeast to the planned corridor of Interstate 69. The extension of LA 3132 appears to have stopped dead in its tracks, with the corridor south of LA 523 slated for a new subdivision. The extension however is being studied again, and two main alternatives focus on the original route west of The Court at Twelve Oaks subdivision (Alternative B), and a route east of the neighborhood toward the Red River (Alternative A). 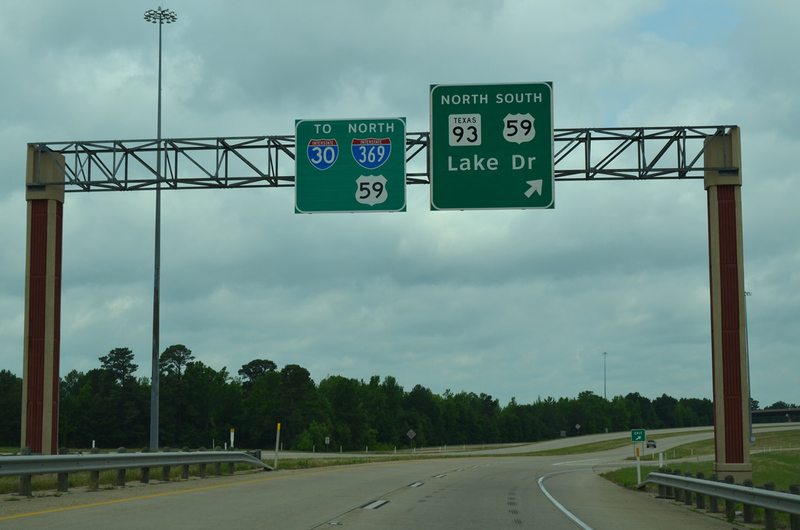 These routes eventually combine along Louisiana 1, with a third option, Alternative C, staying more westward. 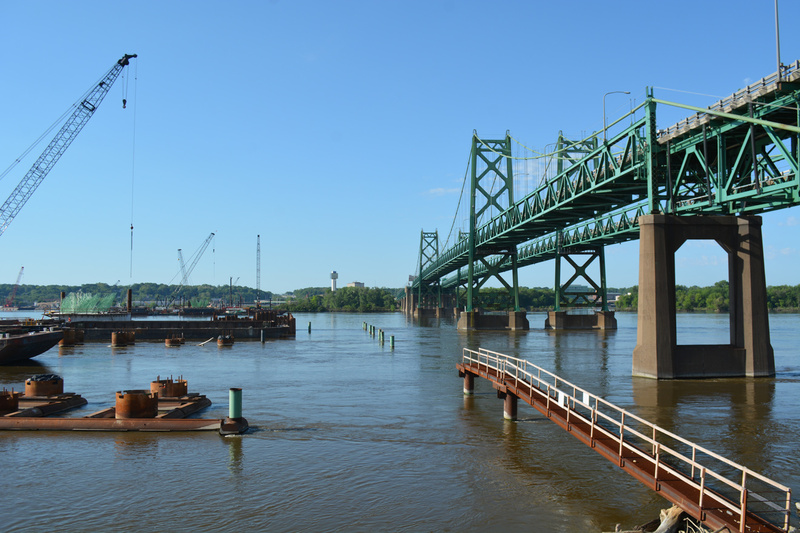 Both conclude at the future corridor of Interstate 69. 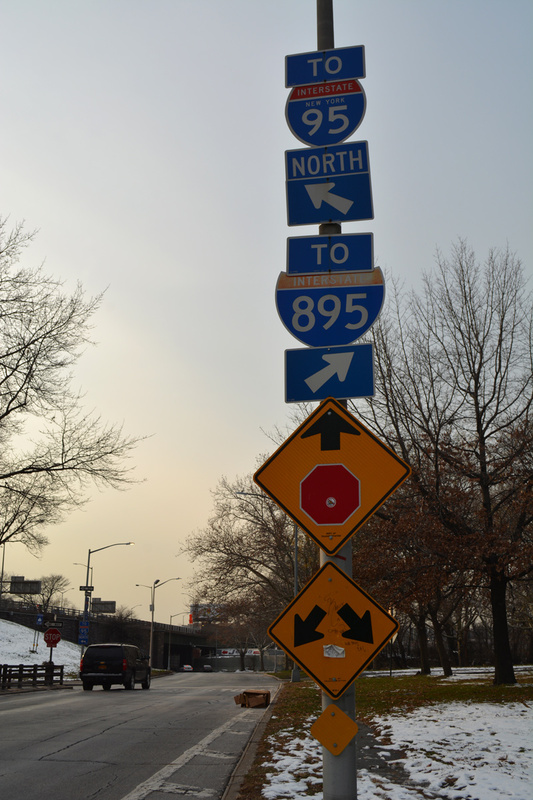 A group advocating the extension, Finish 3132, has more on the possible route, including a map outlining the Alternatives. 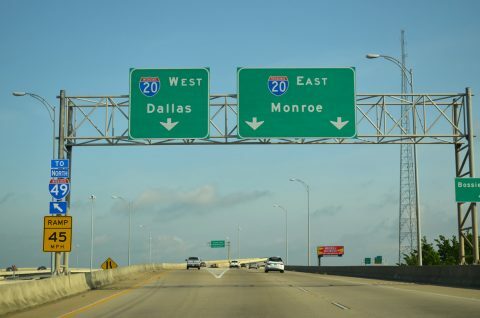 Interstate 49 initially stretched 208 miles from Interstate 10 at Lafayette to Interstate 20 in Shreveport. 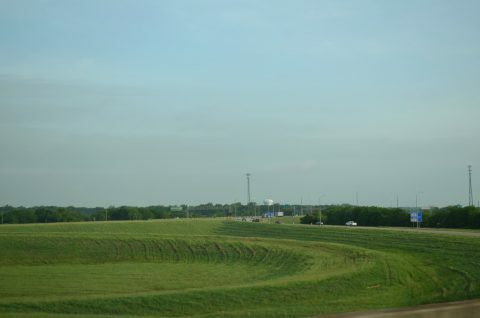 Additional portions are now signed northward to Kansas City, including a 19-mile portion between Louisiana 1 and U.S. 71 south of Hosston (pictured later). 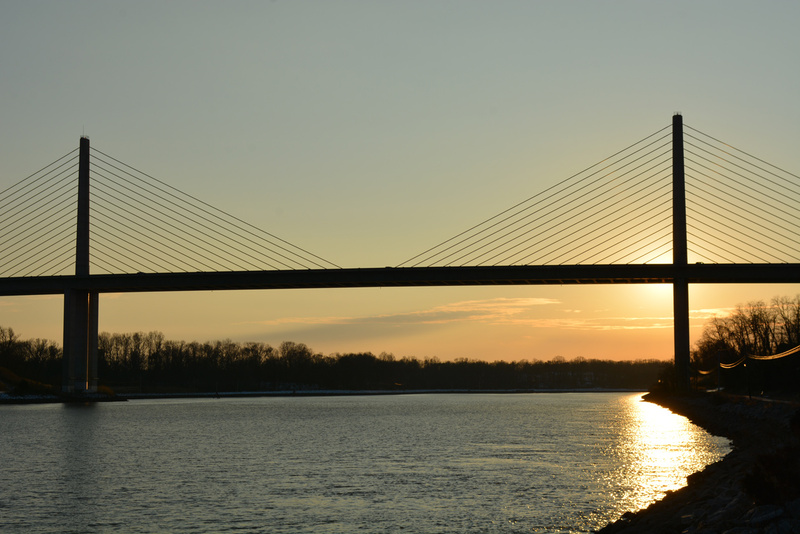 The northern extension will eventually begin at Interstate 220, just west of U.S. 71. Initial earth work is underway just north of the Shreveport bypass for the eventual interchange with I-220. Original thinking for I-49 at Shreveport involved redirecting the route westward along Louisiana 3132 (Inner Loop Expressway) to an overlap with the western half of Interstate 220. Presently trailblazers are posted for I-49 along both stretches of freeway. An idea to route I-49 due north from its current end at I-20 to the new extension at I-220 gained traction in recent years. The Inner-City Connector, or ICC, would extend north from the stack with I-20 through the city. However that concept was not initially studied and a housing complex is poised to be built within the potential ICC right of way. 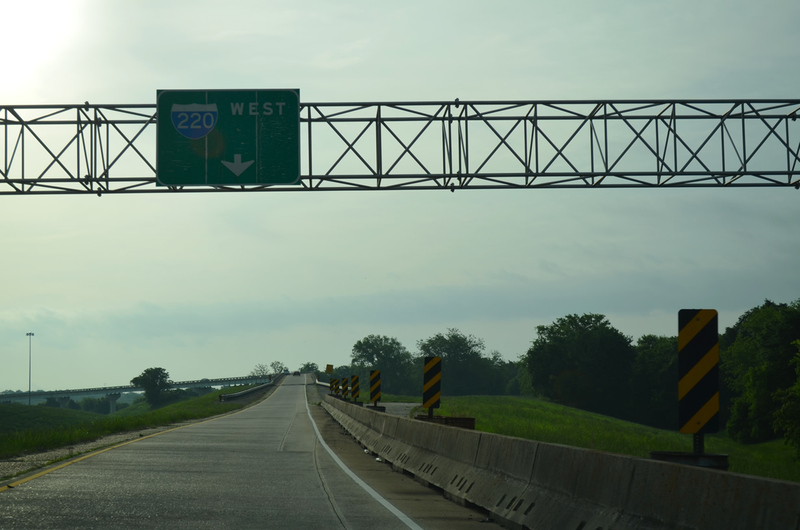 An Interstate 49 north trailblazer directs motorists onto I-20 west to I-220 east for the new section of I-49 leading north from Louisiana 1. Looking north from the I-49 ramp to Murphy Street at Pete Harris Drive. Initial earth moving is underway beyond Weinstock Street, perhaps for the Renaissance of Allendale housing project, which had a ground breaking of April 8 and an ambitious project goal of completing 40 units by April 2015.3 The newest stretch of Interstate 49 to open in Louisiana runs north from a half diamond interchange with Louisiana 1, just outside Shreveport, to a second half diamond interchange with U.S. 71, north of Gilliam. This portion opened to traffic on March 1, 2014. Louisiana 1 veers northwest from a short overlap with U.S. 71 to provide access to Interstate 49 north. 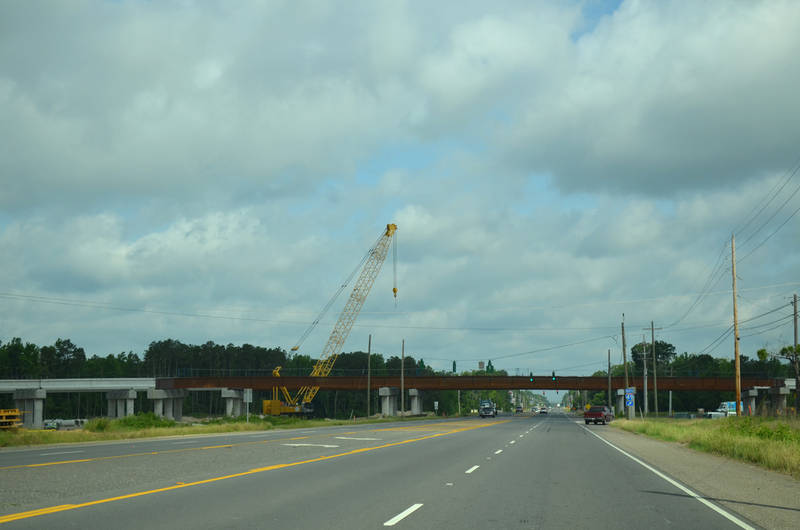 Construction is underway involving the building of the new mainline overpasses for the continuation south to I-220. 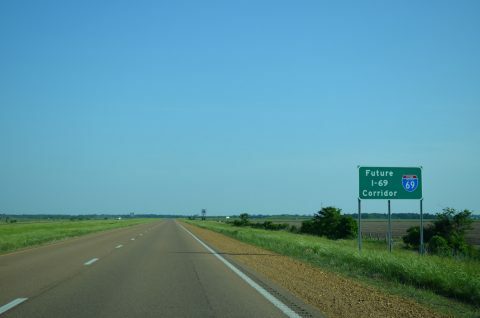 The first northbound reassurance marker posted for Interstate 49 as the freeway leaves Louisiana 1. Speed limits are posted at 75 miles per hour throughout this stretch. 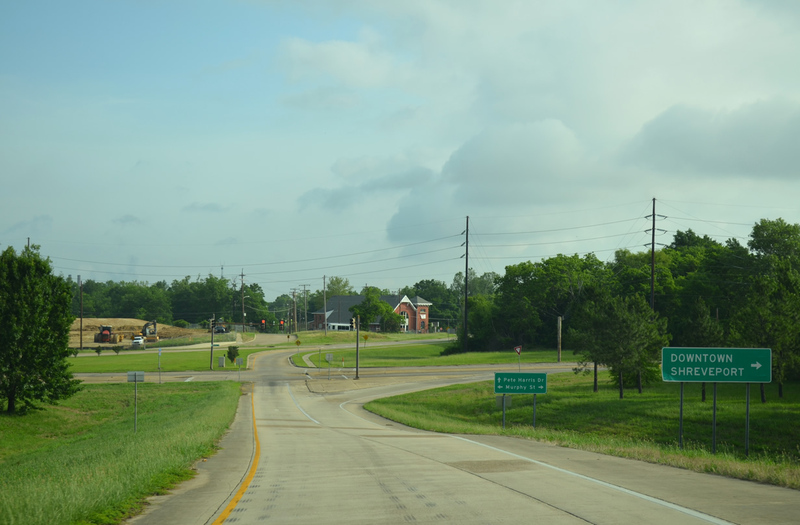 U.S. 71 and Interstate 49 switch sides to the south of Hosston. 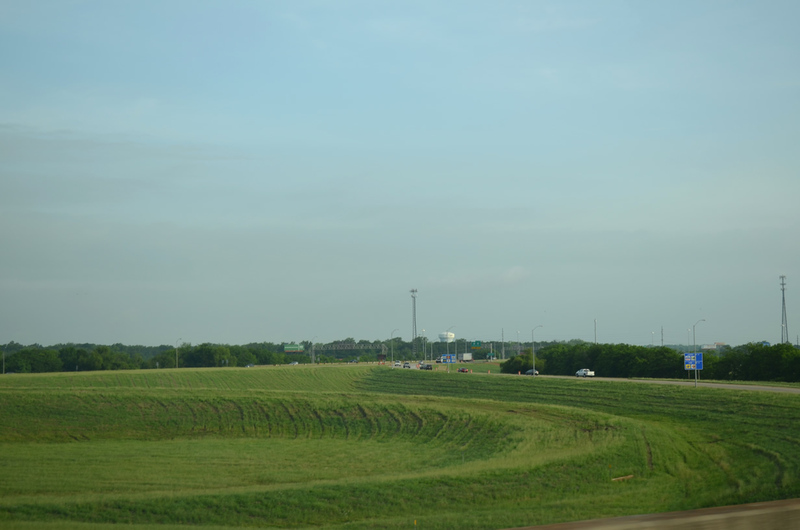 This view looks at the future I-49 travel lanes to the east of U.S. 71. 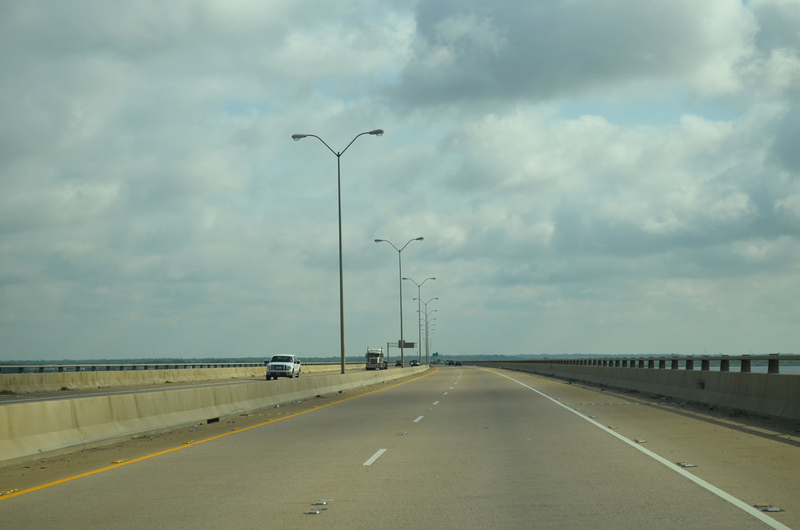 LADOTD is awaiting AHTD to complete their portion before opening the overall freeway. This may take place in August or September. Looking at the future Interstate 49 travel lanes from Louisiana 168, barriers and chevron signs are in place to shunt northbound traffic onto LA 168 east for U.S. 71 north. Ongoing is a repaving project along LA 168 east to Ira, including the construction of partial shoulders. It appears when this state highway project is complete, another 11 miles of I-49 may open to traffic. 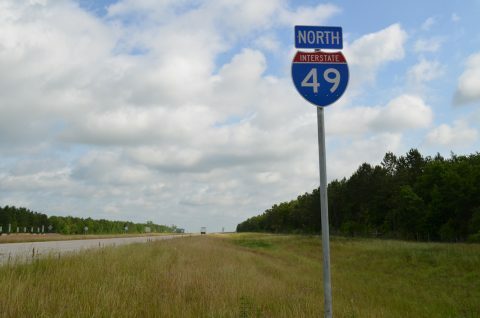 The southernmost four miles of Interstate 49 in Arkansas are currently under construction. 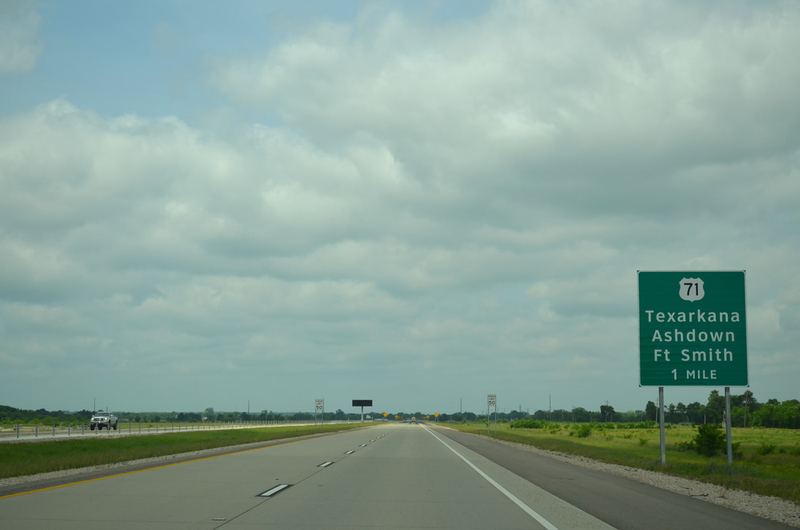 The August or September time table will result in a seamless freeway north to Texarkana. Sign crews are set to replace Arkansas 549 with Interstate 49 when the link with Louisiana is complete. Arkansas 549 extends north of Interstate 30 to a temporary end at U.S. 59 & 71 on the Texas state line north of Texarkana. 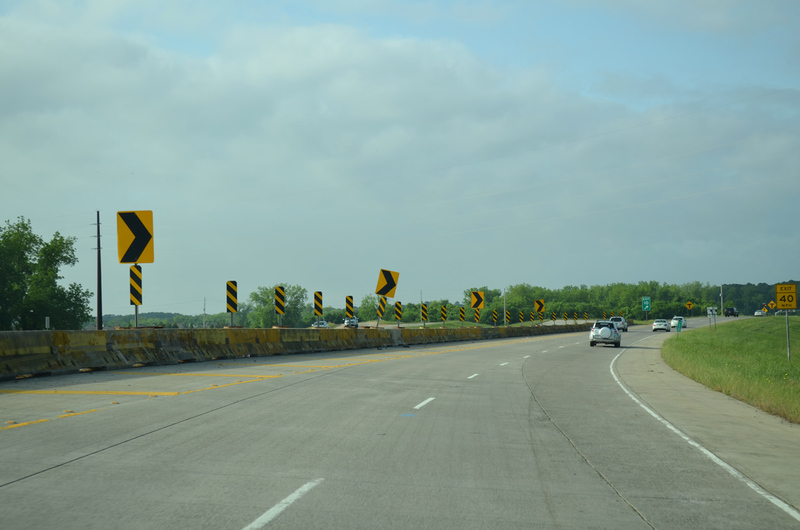 This portion of freeway opened on May 15, 2013. Future I-49 will extend west into Texas before returning to Arkansas. Arkansas 549 turns southward from the Texarkana belt line for Louisiana. The freeway leading west to Texas Loop 151 and I-369 & U.S. 59 was initially signed as Arkansas 245. 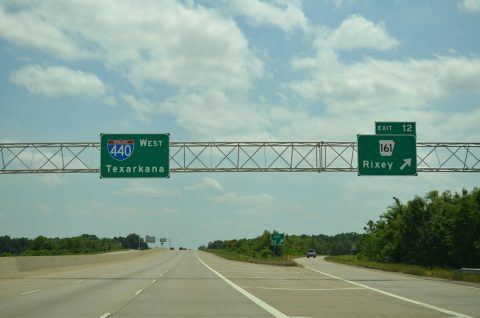 AR 245 was the designation given to the east side freeway of Texarkana before AR 549 was posted. However signs for AR 245 were removed by October 2013, leaving the freeway without a number. 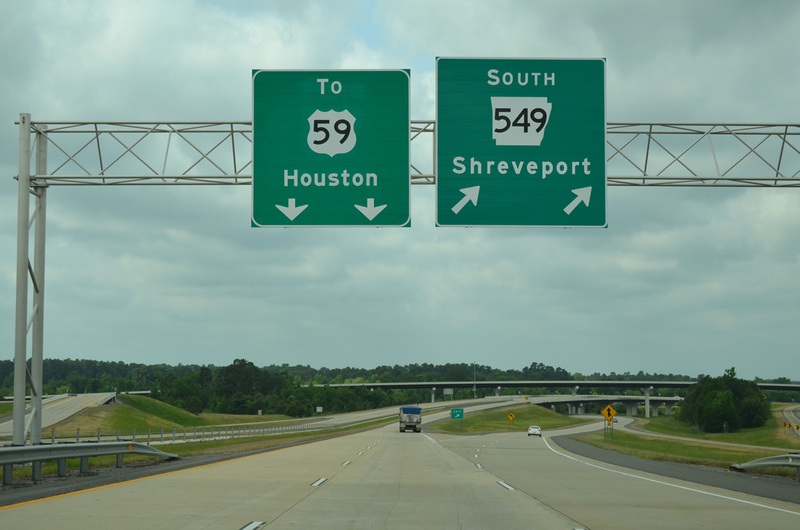 Instead pull through signs reference either TO U.S. 59 or TO AR 549. Texas Loop 151 extends the freeway from Arkansas west to U.S. 59, where it ends and Interstate 369 begins. 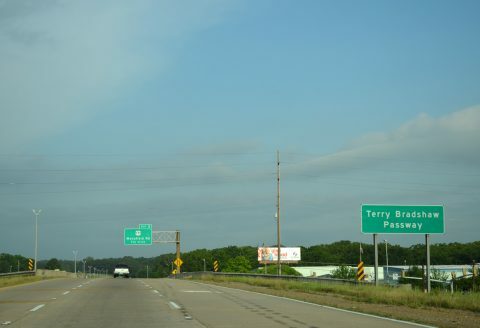 Interstate 369 in Texas is a 118-mile route proposed to run south from IH 30 at Texarkana to the future IH 69 near Tenaha. 3.5 miles of the route are posted as of September 23, 2013. 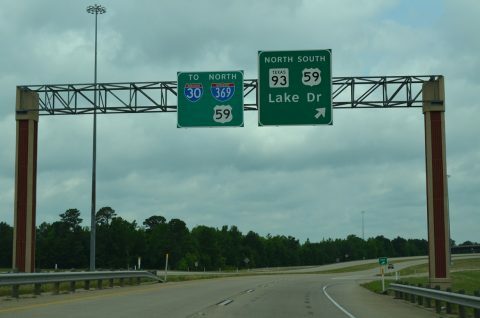 The stretch coincides with the U.S. 59 freeway along the west side of Texarkana. 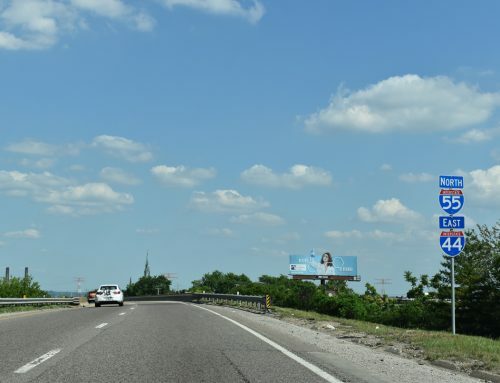 It may be many decades before IH 369 is completed as envisioned, but since its north end is at an existing Interstate, it was allowed to be signed. The route is shielded in both directions of U.S. 59, with greenouts added to select overhead assemblies on the mainline and intersecting routes. In typical TXDOT fashion, an elaborate stack interchange facilitates movements between IH 30 and IH 369 at Texarkana. 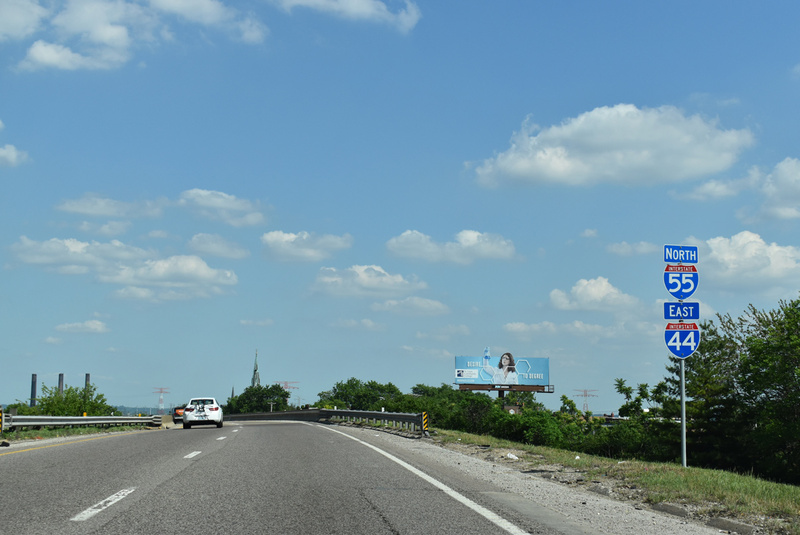 The exchange includes a collector distributor roadway along IH 30 east. The c/d roadway serves interchanges with FM 2878 and U.S. 82 while separating local traffic from the freeway mainline. 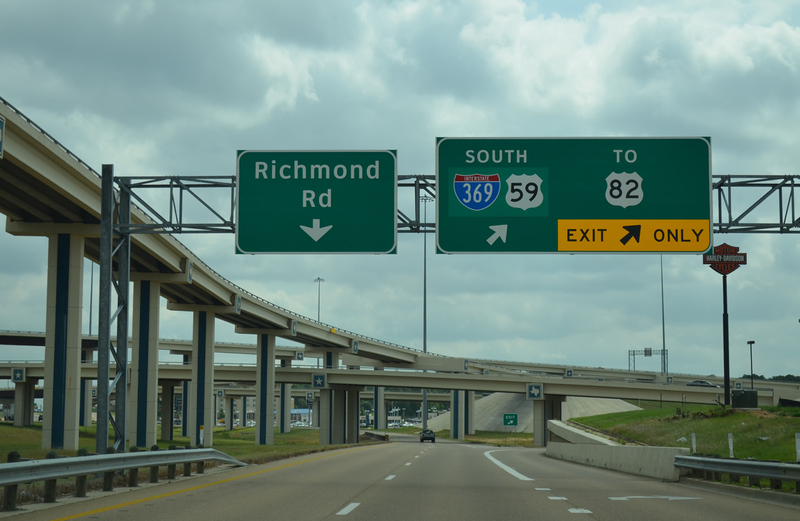 It includes access to Interstate 369 & U.S. 59 south as pictured above. 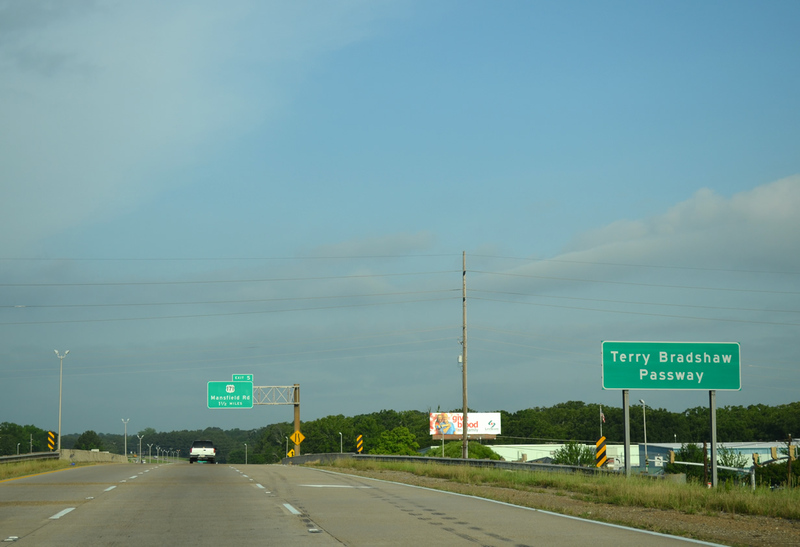 Interstate 30 angles northeast from Texarkana as a busy truck route through to the capital city of Little Rock. Longer exit less stretches and forested hills offer some respite from the slow moving vehicles. The freeway expands to six lanes beyond Exit 116 with South Street at Benton. Interstate 30 east at the northbound beginning of Interstate 430. I-430 provides a bypass to I-40 while also doubling as a commuter route to I-630. One element of the Big Rock Interchange project is the grade separation of Financial Centre Parkway at Shackleford Road. 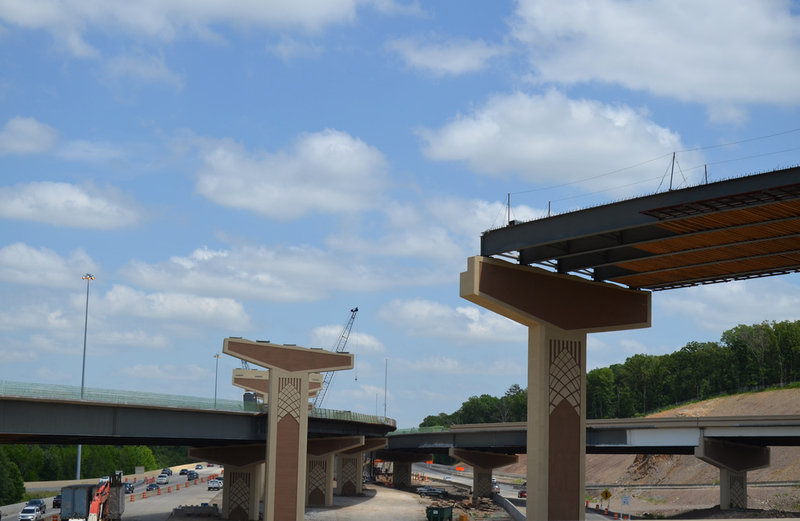 A diamond interchange replaces the signalized intersection at the west end of I-630. Three flyovers continue to take shape at the Big Rock Interchange. The high speed ramps replace loop ramps between the two freeways. The loops however will remain to serve local traffic on collector distributor roadways between Shackleford Road and the Baptist Health Drive exit to the east. U.S. 67 emerges from an overlap with Interstate 40, north of Downtown Little Rock, to travel a freeway northeast nearly 100 miles toward Walnut Ridge. Some have touted this as an eastern extension of Interstate 30 while others reference the freeway as a future extension of I-57 southwest from Sikeston, Missouri. 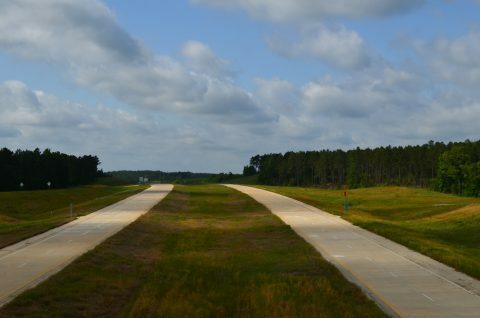 Within the Little Rock area, the U.S. 67-167 freeway serves a heavily developed commercial corridor to the east of Robinson Air Force Base and Sherwood. 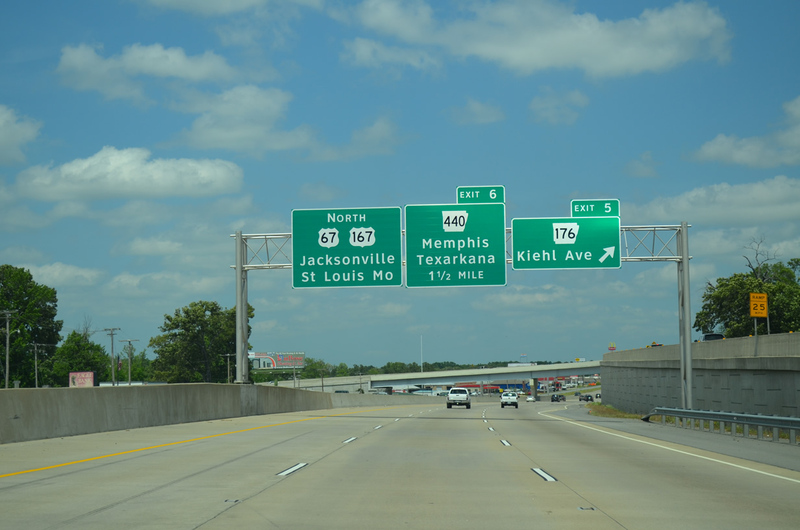 Arkansas 440 extends south from U.S. 67 & 167 to become Interstate 440 at I-40. 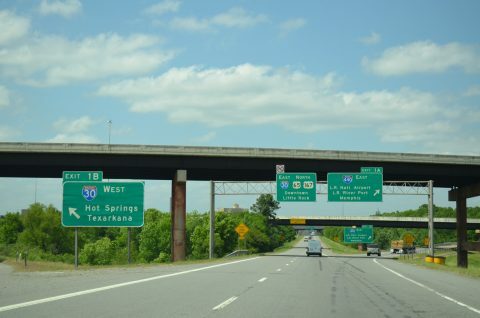 A sign prematurely upgrades the state highway freeway to I-440 at Exit 12. 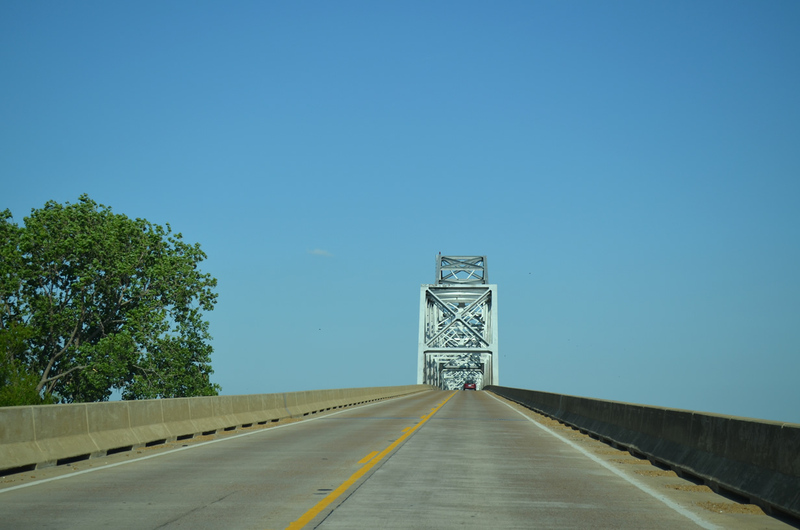 Provisions exist at the north end of AR 440 for a westward extension back to I-40. 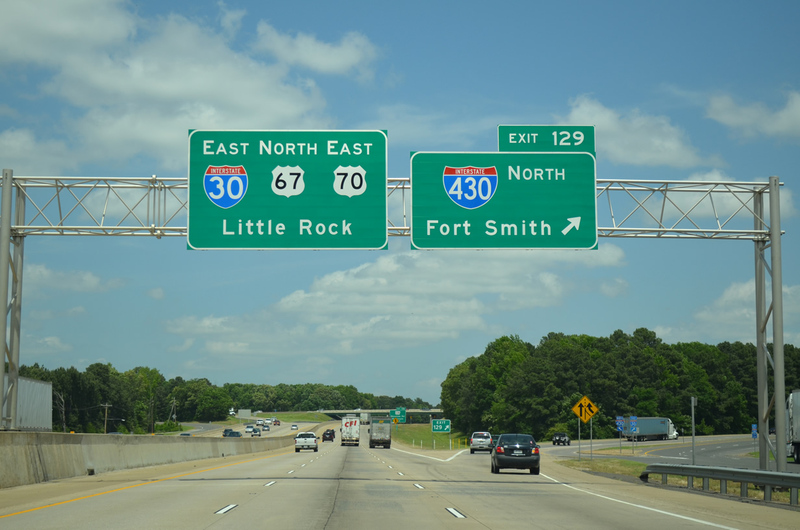 Interstate 530 leads north to end at Interstate 30 and 440, south of Downtown Little Rock. I-440 provides an easterly bypass to I-40 for Memphis while also serving Little Rock National Airport and the Little Rock Port area. Crossing the White River along the 1931-built Clarendon Bridge on U.S. 79 north. Construction of a new alignment for U.S. 79 is underway to the south. 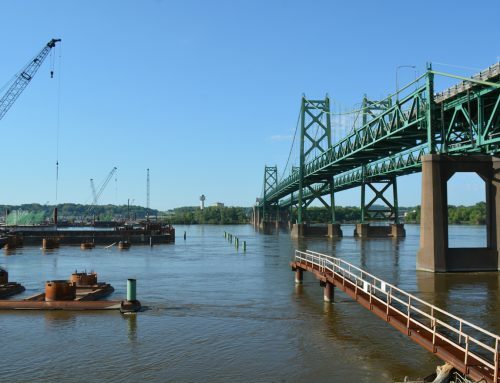 The new route includes a lengthy viaduct over the White River flood plain and a railroad line through to a nondescript bridge across the river. It will tie into U.S. 79 just east of U.S. 79B (Fifth Street). 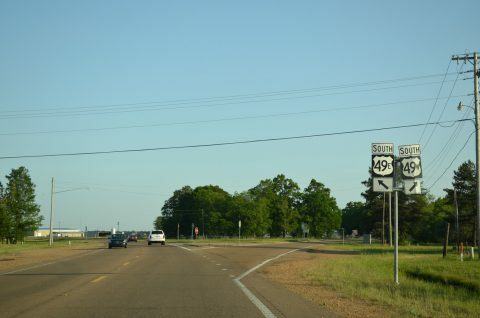 U.S. 49 combines with U.S. 61 south through to the Clarksdale, Mississippi freeway bypass. U.S. 278 joins the tandem to bypass the city to the east. 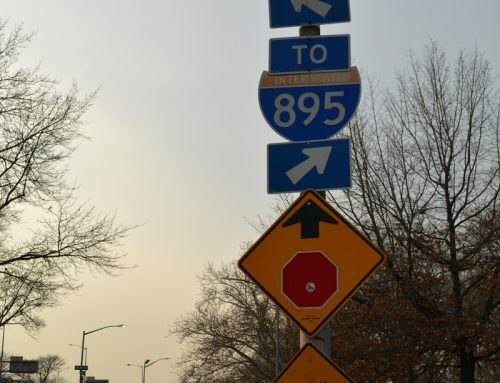 Just south of their merge, motorists see a Future Interstate 69 corridor. 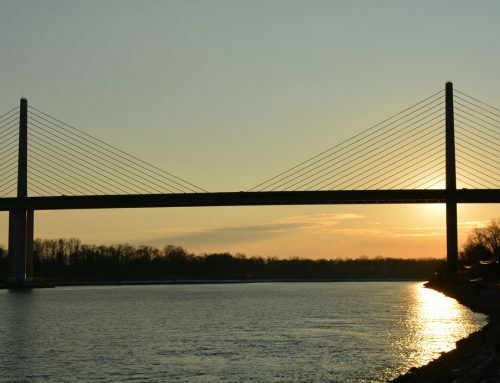 Completion of I-69 through Mississippi is many decades away, with funding limited at this time. 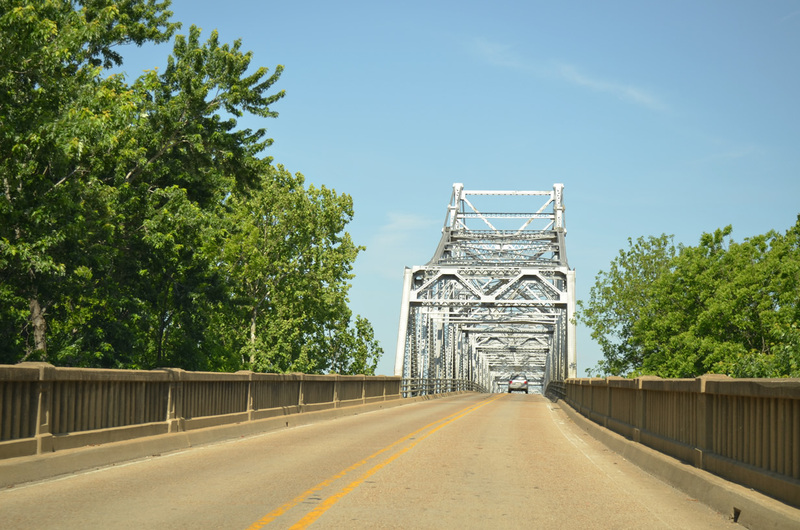 U.S. 49 partitions into an East and West branch between Tutwiler and Yazoo City. Split US routes are not favored by AASHTO, yet several pairs remain in use in Mississippi, North Carolina and Tennessee. “Bridge finally opens.” The Advocate (Baton Rouge, LA), April 11, 1989. “Lawmakers sponsor bill to rename section of highway.” The Times (Shreveport), July 15, 2003. “Proposed housing complex at same site as potential I-49 route.” Shreveport Times, April 2, 2014. 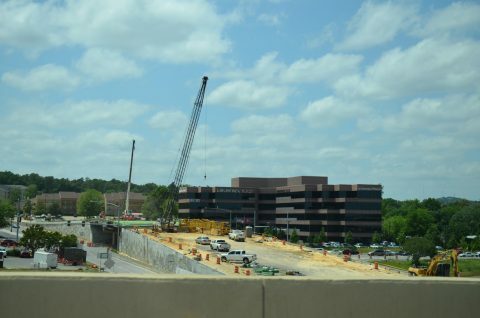 “Update on Little Rock’s Big Rock Interchange progress.” KTHV-11 (Little Rock), March 13, 2014. “New State Highway 530 Opens.” The Commercial (Pine Bluff), September 12, 2003.